On March 23rd 2018, Firefighter Michael Davidson lost his life while battling a 5 alarm fire in the Harlem section of Manhattan. He leaves behind a wife and 3 daughters ages 7, 3 & 1 and a 6 year old son. Mike was an exemplary father, husband, friend and firefighter. He was a true leader and always one of the first people to help when someone else was in need. In the Fire Department we take care of each other and each other's families. Never is it more important to us to take care of another firefighter's family than when one of our own passes away in the Line of Duty. 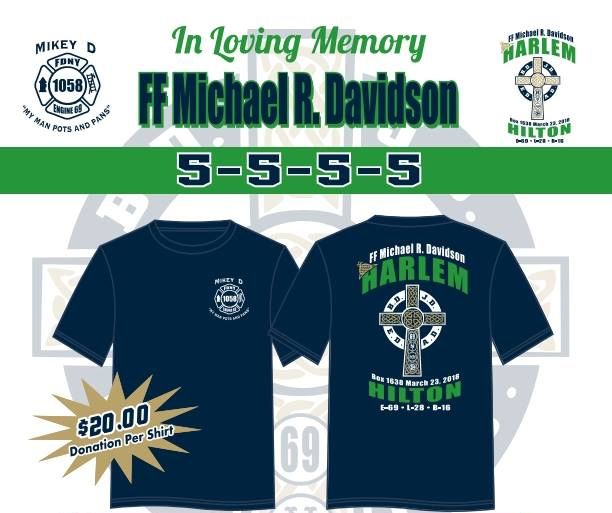 Now the members of his firehouse, Engine 69, Ladder 28, Battalion 16, "The Harlem Hilton" are asking for your help for Mike's family. We are selling these memorial t-shirts to support the Davidson family. Shirts cost $20 each and all proceeds from each shirt sold are going directly to the Davidson family. Copyright © 2018 Lt. Michael Davidson Memorial Fund. All rights reserved. This is the official website of The Michael Davidson Memorial Fund. 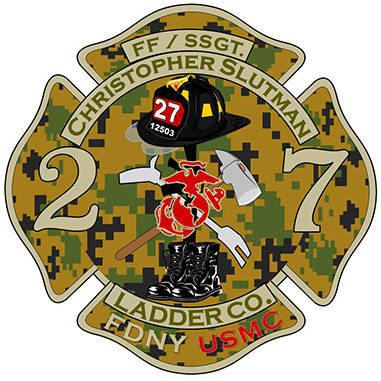 It is not an official City of New York or FDNY website. All information shall not be considered that given by the New York City Fire Department or FDNY.